In what is apparently a fallout of the suicide bombings of a church in the Armed Forces Command and Staff College, Jaji, Kaduna State, the Defence Headquarters (DHQ), yesterday, removed two top military officials from their posts. The DHQ announced the removal of the top officials – Air Vice Marshal Ibrahim Kure (equivalent of a major general in the air force), the Commandant of the Armed Forces Command and Staff College, and Major General Mohammed Isa, Commander, Nigerian Army Corps of Infantry, Jaji – It learnt that the bombs used in the Jaji operation may not have been the usual Improved Explosive Devices (IED). Security sources said preliminary examination of the explosives showed they may have been manufactured in the United States (US) while some of the components were allegedly brought in from Brazil. The DHQ said the removal of Kure and Isa followed the Board of Inquiry it raised to unravel the circumstance that led to the Jaji church bombings. No fewer than 17 lives were lost in the twin suicide bombings in the military facility last Sunday. The replacements for the generals were immediately announced. Air Vice Marshal E.E. Osim takes over from Kure as the chief helmsman at the Command and Staff College, Jaji, while Major General K.C. Osuji is the new commander of the Corps of Army Infantry, Jaji. Kure assumed office at the Command and Staff College only three weeks ago. 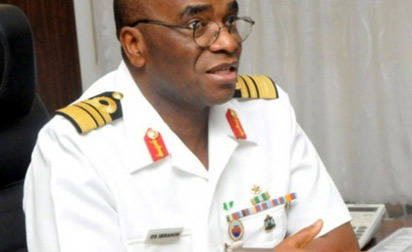 “Following the Board of Inquiry raised by the Defence Headquarters to unravel the circumstances that led to the bomb explosions which rocked St Andrew’s Protestant Church at Jaji Military Cantonment in Kaduna State, the Chief of the Defence Staff, Admiral OS Ibrahim, has directed the Services Headquarters to replace with immediate effect the Commandant, Armed Forces Command and Staff College (AFCSC) Jaji, Air Vice Marshal IA Kure and the Corps Commander, Infantry also located in Jaji, Major General MD Isa. “Air Vice Marshal EE Osim is to replace Air Vice Marshal IA Kure as Commandant Armed Forces Command and Staff College (AFCSC) while Maj Gen KC Osuji will act as Corps Commander, Infantry, Jaji. AVM IA Kure and Maj Gen MD Isa will be redeployed by their respective services”. Meanwhile, indications emerged, last night, that the military authorities may institute a court martial to prosecute officers charged with the responsibility of securing the Jaji cantonment before it was breached and the church bombed. Towards this end, Sunday Vanguard gathered that more officers particularly those of the Military Police and the Intelligence branch of both the Infantry Corps and the Command and Staff College have been arrested and detained. Military sources said the authorities are particularly irked by the fact that Isa, a tested senior officer and former GOC of 82 Division, who has had brushes with militants, would allow suicide bombers to carry out such attacks on a military church inside the cantonment. In a related development, the Chief of the Air Staff (CAS), Air Marshal Alex Badeh, says the Nigerian Air Force (NAF) has not been able to embark on border patrol of the country’s porous borders from the air as directed by the Federal Government, because the official transfer process of border patrol to the force has not been completed. Badeh spoke while interacting with Defence Correspondents after declaring open the 2012 Workshop for the Nigerian Air Force (NAF) Public Relations and Information Personnel in Abuja. He noted that, presently, Nigerian Air force was focused on its maritime patrol duties, while working out means of acquiring equipment for air border patrol operation. He added that, aside the fact that the country’s borders were not well delineated, it is going to be a Herculean task for the force to go into operation, because of its delicate nature, saying, “we have to be very careful to avoid encroaching into another country’s airspace”.